John Shaller and Chase Boulter work on projects at the Arizona Cyber Warfare Range near ASU's Polytechnic campus on Friday, Feb. 3, 2017. Minutes from ASU’s polytechnic campus, the Arizona Cyber Warfare Range has three missions: to educate, to gather intelligence and to change the industry. Founded nearly a decade ago, AZCWR has built up a workforce of volunteers who cash more than 2,000 hours monthly. With over $2 million in donated equipment, volunteers have the capacity to work on over 300 projects — an opportunity especially attractive to ASU’s computer-related majors. Although the facility itself is classified, the organization is not. Among the range’s server racks, volunteers from any background can learn about computer network attack and defense skills, as well as digital forensics. The projects are a teaching hospital approach to cybersecurity. Scott said no one is punished for making mistakes at the range — instead, the rule is if you break it, you try your hardest to fix it. With a background in information security, Scott said the range started as a crazy idea — an idea that worked. “If we don’t change the cybersecurity landscape of this country, we will not have to country to live in,” Scott said. “The skill set is so rare that if you can spell security, you can bluff your way through a security career." A day at the range can vary, from working on projects with real-world impacts to playing capture the flag, a game where a blue team and red team practice defense and offense. Capture the flag plays out like a real-world simulation with a fictional twist, allowing the players to use real hacking techniques to complete missions like retrieving a code or secret message. Digital forensics, a process that uncovers details and failures that allowed security breaches to happen in the past, is used as part of defense training to help volunteers understand exactly how and why a cyber attack happened. Dissecting virus and malware behavior gives volunteers the chance to fully understand what it is, what it does and how to stop it. As a project at AZCWR, Scott said volunteers worked with different members of Anonymous — a "hacktivist" network — to build tools used to take down social media profiles. “If you want to learn how to fight and win a cyber war, why not practice against terrorists,” he said. Although projects vary in skill level, the range is open to anyone regardless of experience and completely free. “We have 13-year-olds learning to hack, and we have 85-year-old ladies asking where the ‘any’ key is when we tell them to press any key to start,” said software engineering sophomore Chase Boulter, a badge-holding volunteer at AZCWR. Since he joined nine months ago after visiting the organization’s booth at Comic Con, Boulter has been logging between 20 and 30 hours weekly at the range. Another ASU student, John Shaller, is a senior in the computer science program studying information assurance. Aside from his participation in school activities like the Collegiate Cyber Defense Competition, he said his time at AZCWR has helped him better understand both sides of cybersecurity. 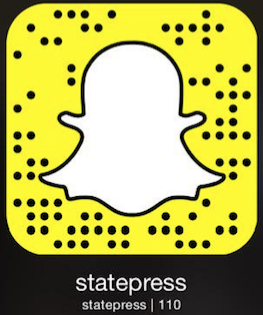 Reach the executive editor of The State Press at symmaki@gmail.com and follow @symmaki on Twitter.